In Japanese the word "ossan" (おっさん) is somewhat of a rude word for middle aged-dudes. 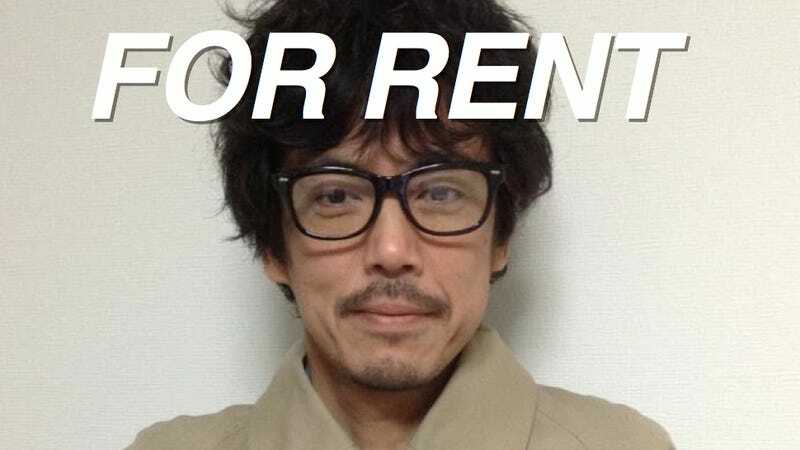 How would you like to rent an ossan? Well, in Tokyo, you can. Enter Ossan Rental, a middle-aged man rental service that makes older gentlemen available for only 1,000 yen (US$10) an hour. And not just regular old dudes, but 65 year-old former Japanese pro ballplayer Mikio Sendou (who was an All-Star in 1978!) and 46 year-old "fashion producer" Takanobu Nishimoto. Currently, there are only two ossan for rent. This is not a sexual service! Or a host club. Japanese website NariNari explains that you are renting an ossan to do things like, for example, going to art galleries, having lunch and talking about your love life, test driving cars with you, renting weepy DVDs, looking at new apartments together, complimenting you, and even giving you ideas. You can even hire an ossan to run your errands or do your shopping. And in Sendou's case, you can have him sign old baseball cards! But are people actually using this service? I mean, the Ossan Rental website looks like it was made in 1996. This must be a stunt, right? Japanese site Rental Share reports that over fifty people have used Ossan Rental since the end of July. Seventy percent of those customers were female, while the remaining 30 percent were male. Apparently, there are lots of repeaters. So, if you are looking for middle-aged dudes to hang out with in Tokyo and don't mind paying for friendship, give Ossan Rental a call.